Before arriving for training, it was expected for us to memorize dozens of engine limitation numbers, V-Speeds, weights, fuel quantities, and emergency checklists. It was a lot of work to get done, coupled with about a dozen online training modules. The toughest part of the process was figuring out how to apply the required knowledge without any previous Caravan experience. I found it helpful to study the airplane’s systems for about a day prior to attempting to memorize any sort of limitations. There are about 6 of us in the training class – There’s a huge variety of experience and backgrounds. 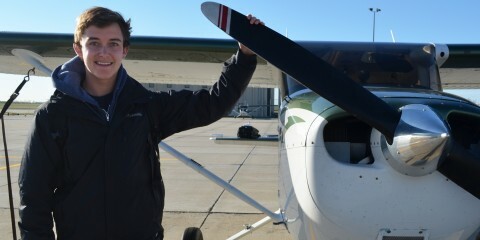 Stay tuned for another article soon detailing the ground school process. 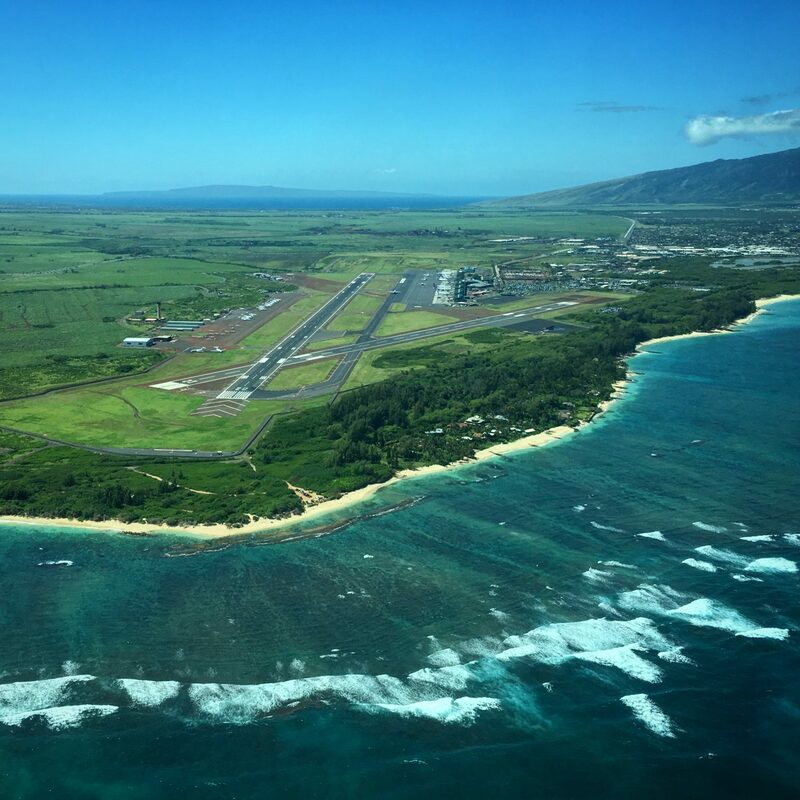 Aloha and welcome to a couple of new challenges! 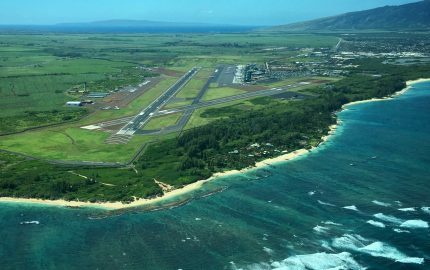 Flying into the Class B at HNL is a great adventure with a lot of radio handoffs and local landmarks for navigation. It’s good fun. The other is flying into OGG when the tradewinds have “freshened”. Imagine flying in a blender set on “smoothie”. Enjoy! Too cool Dwayne. 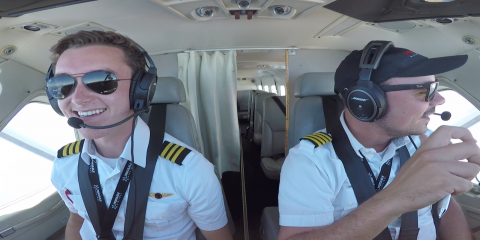 Congratulations on becoming an airline pilot. Keep the blog coming. I enjoy all your stuff. Congrats! I love following your progress, it’s really inspiring for me as well. How did you get that job? 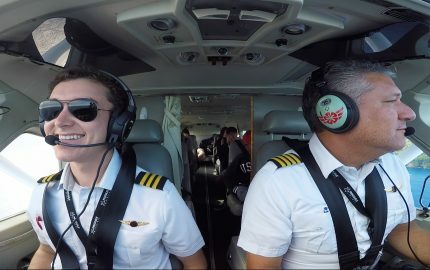 What goes into getting selected and would you have any advice for aspiring pilots? 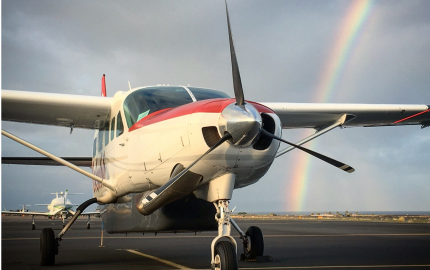 I would love to also become an instructor and then get a job in an airline like Mokulele. 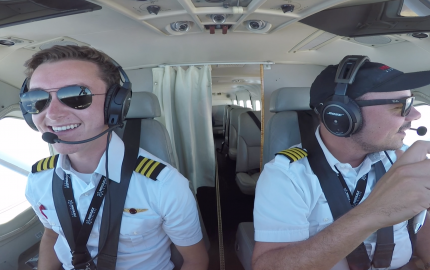 The basic requirements can be found on their hiring website – Right now you need your CPL, Instrument Rating, and around 325 hours. Once I find out more about the specifics of the hiring process, I’ll make a post. Hi Swayne! How’s it going so far? It’s been great following your progress. I’ve got my CPL, Instrument and about 525 hours. Are you guys currently hiring? 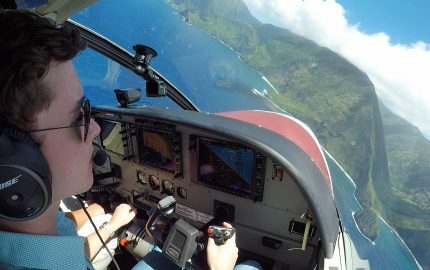 When you get some free time Swayne, you need to fly the Napali Coastline on Kauai. There is simply no place on earth like it. Think Jurassic Park scenery! Congratulations Swayne. Keep up the good work.